The term consumption is so ubiquitous that it is easy to take its meaning for granted, to assume we share the ‘obvious’ understanding of the word. But a closer look at both the denotation and its theoretical applications challenges this straightforwardness. We can find both sides of common binaries: rationality and irrationality; materiality and non-materiality; destruction and pleasure. Embracing these dualities provides new openings to a broader range of questions about life in the city. Through the symposium Consuming the City, students of the Research Maste’rs Urban Studies engage with the tensions inherent to the concept of consumption, posing new questions rather than providing answers. We have an uncomfortable relationship with consumption. The first definition of the word is telling: tuberculosis. In this historic context “consumption” literally describes the physical effects of the disease, “a progressive wasting away of the body.” Some historians note that for much of the 19th century, medicine also attributed the disease to immoral vice, epitomized by Dr. Henri Triboulet’s call at the 1905 International Tuberculosis Congress in Paris for moral values of cleanliness, alcoholic and sexual sobriety, moderation and hard work to end the public health scourge (Barnes 1995). In this sense, consumption describes also the social dis-ease with consumptive behaviors: drinking, sexual promiscuity, leisure, excess. Traces of this moralistic view remain with us—we still scoff at performances of ‘conspicuous consumption’: gaudy designer fashion, gold-plated bathroom fixtures, the frivolity of ultra-luxury sports cars. We invoke pejorative terms such as ‘nouveau riche’ to describe socially unacceptable or culturally discordant practices that somehow violate our code of material consumption. All the while we, too, consume, perhaps just differently. Deliberately or not, we dress a certain way, eat certain foods, drink certain beverages, attend certain performances, watch certain movies, listen to certain music, or live in certain neighborhoods. As Bourdieu and others argue, consumption is crucial to social ordering and acts as a device for our own positioning. Knowing what to consume both material and immaterial to fit within our social milieu is a necessity. The relational character of production and consumption is often obfuscated by its treatment as a binary. Shifts from production-centered to consumption-centered societies are the common narrative. There is a danger, however, in an oversimplification that implies a requisite societal decay in this transition: romanticising (‘productive’) bygone eras while villainizing the hedonistic (‘consumptive’) present. Whether wittingly or not, there is a moralistic asymmetry to the terms: whereas production, the act or process of producing, inheres the positive quality of creation or making, consumption is steeped in negativity. It is associated with waste, deterioration, destruction, squander, perishment, or an impertinent excessiveness in use. Our lingering puritanism may valorize production—we still talk of being ‘productive members of society’—but, as Baudrillard argues, “It is in the consumption of a surplus, of a superfluity that the individual –and society—feel not merely that they [we] exist, but that they [we] are alive.” If we move away from the judgment, production = good, consumption = bad, to take them more seriously as co-constituting, we can then reflect upon the complex relationship between consumption and society. We can open ourselves to the multiple definitions of the term. We can incorporate experience, full engagement and avid enjoyment as positive part of the consuming process. We can consider both destruction and transformation. Consuming the City is thus not only about the impacts of changing material practices, but also about the relation between the city and its residents. When Marx argues that consumption produces production, we might consider its application to the city itself. Does the city only become a real city (a real product) by being consumed? If so, what does this look like? A variety of factors affect and differentiate consumption patterns by residents, which in turn shape the material and nonmaterial aspects of the city. From this starting point, we may ask a series of questions. What material and immaterial elements of the city are consumed? How and by whom is the city produced and made ready for consumption? Who decides how the city should be produced? Can the city be evenly consumed by everybody? What are the effects of our consumption patterns? Are cities losing their local culture due to a globalizing consumption culture? Does the city remain accessible and consumable for aging residents? How do trends of food consumption shape the city? If cities are visually homogenizing, do they sound the same as well? As part of our Consuming the City project, we take four approaches to engage with the concept of consumption: The Limited Space Available lecture, the publication, as well as the Sounds beyond Cities exhibition and the documentary film FOODSTRUCTION. 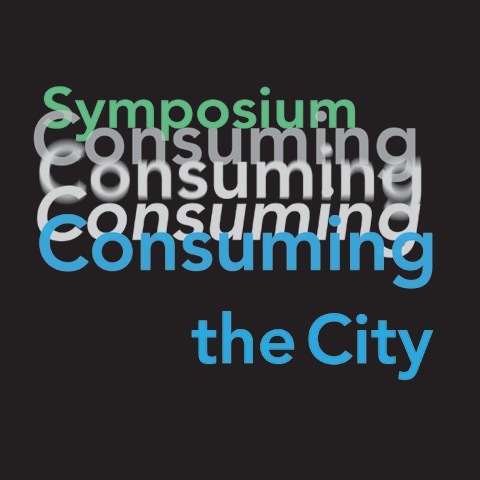 By employing various media addressing a wide range of content, the symposium Consuming the City explores these questions to further our thinking on urban life from multiple perspectives. The Proto City serves as a platform where students pick up and discuss the theme of Consuming the City in a more diverse and deep manner. Readers can look forward to unusual perspectives and insights inspired by rethinking consumption.